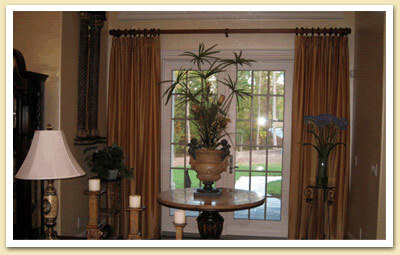 Draperies & Valances – Window Designs, Inc.
Drapes “soften” up the appearance of your home or rooms to make them more warm, inviting, and cozy. 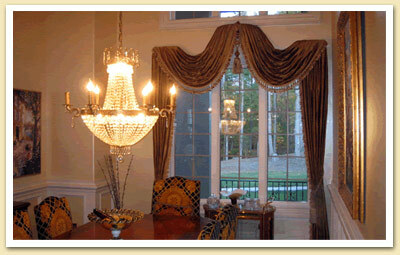 There is absolutely nothing better than drapes/fabrics to create a “welcome home” atmosphere. Drapes/Fabrics can be pulled back or away from the windows thereby providing both a custom appearance and openness to your rooms. 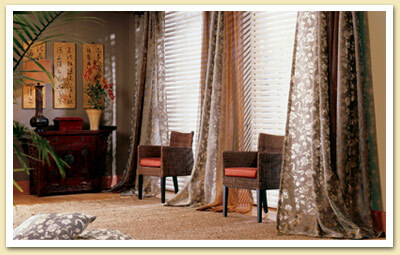 The number one energy efficient interior window coverings are drapes. 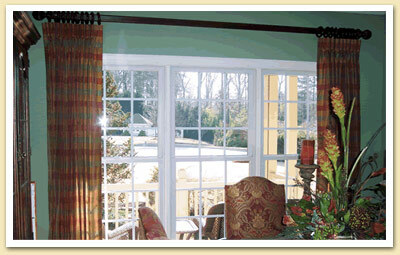 For example, lined drapes can provide up to 50% insulation value. Window Designs has an on-site showroom with thousands of fabric samples to choose from, as well as hundreds of photos to look through to help determine style.